services: Eartec’s ComStar wireless headsets enhance the coordination and safety of your crew. product: LED flares: bright, runover proof, 10 flash patterns, waterproof. New cone top adapters. Headsets. hands-free, wireless, up to 1600-ft. range, 24-hours of talk time. products: provides towing, recovery and road service training to public and private towing companies throughout the Midwest. Shares important towing safety information through his monthly column in Tow Times magazine. 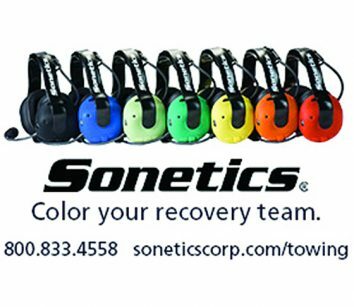 product: Safety program designed specifically for the towing and recovery industry. Discounted price per subscriber, 5 member minimum. 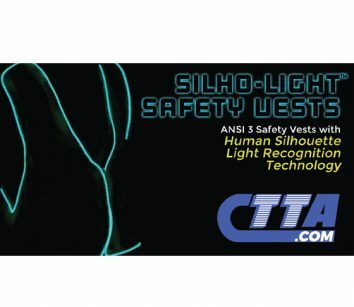 Introducing new Silho-Light™ ANSI 3 safety vests with “human silhouette light recognition technology” – when motorists see this in the dark, their brain screams, “STOP, that’s a person!” Visible from over 100 yards, machine washable and 5,000 hours of use from two AA batteries. Available now at ctta.com/vest#LightSavesLives.